And Yet They Deny: Peekaboo; Eye See YOU!! - Rachel Hartman - "Seraphina"
Peekaboo; Eye See YOU!! 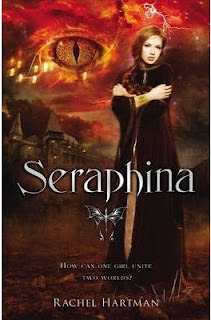 - Rachel Hartman - "Seraphina"
Feminine form of the Late Latin name Seraphinus, derived from the biblical word seraphim which was Hebrew in origin and meant "fiery ones". The seraphim were an order of angels, described by Isaiah in the Bible as having six wings each. This was the name of a 13th-century Italian saint who made clothes for the poor. As an English name, it has never been common.